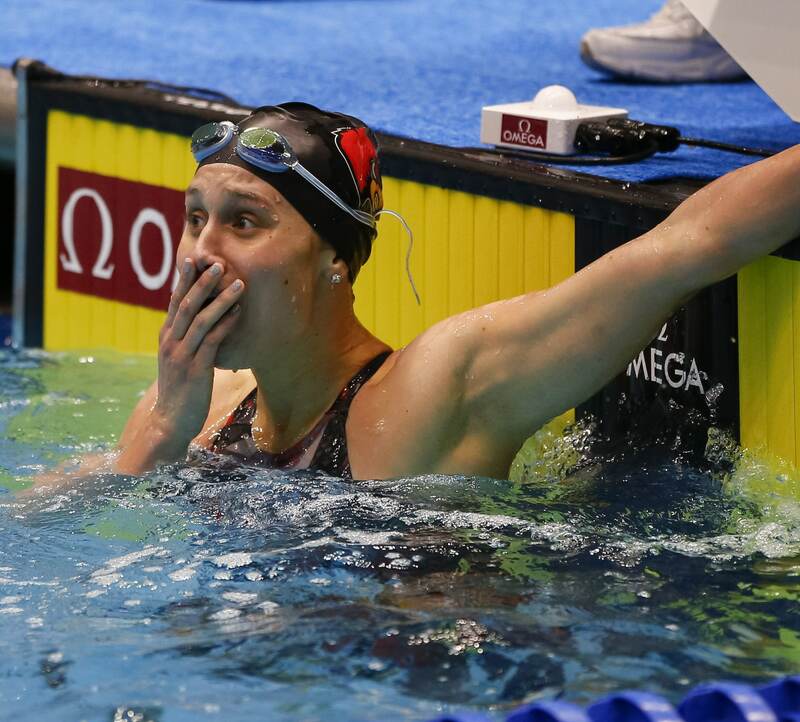 In the midst of March Madness, University of Louisville swimmer Mallory Comerford won the NCAA Championship in the 200-free Friday. The sophomore shaved 2.63 seconds off her prelim time to tie with Olympic gold medalist Katie Ledecky at 1:40.36. Simone Manuel, another Olympic gold medalist, grabbed third place at 1:40.70. The A-final was expected to be a race between Stanford’s pair of Olympians. It looked to be the case in the first 100 meters as Manuel jumped to an early lead. Manuel and Ledecky were neck and neck, holding first and second going into the final 50. Comerford surged in the back split to overtake Manuel and first place. She almost held off both Olympians, but Ledecky and Comerford touched at the same time at 1:40.36, making the two co-champions. Comerford’s time resets the pool record of 1:41.41 set by Manuel in the 800-free relay leadoff leg on March 15. She is U of L’s fourth NCAA champion, joining Carlos Almeida, Joao de Lucca and Kelsi Worrell.